Loft ladders come in all shapes and sizes, with a wide range of products available to choose from. 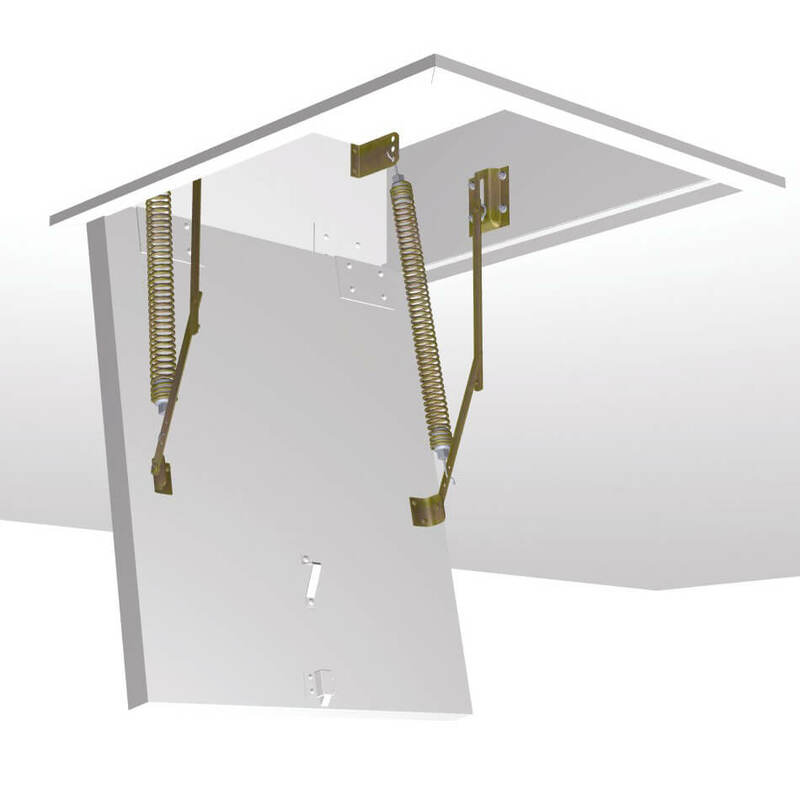 PMB Construction recently approached Premier Loft Ladders with a very specific set of needs. Fortunately, the Escalmatic motorised loft ladder ticked all the right boxes. PMB Construction UK Ltd were working on a loft conversion project. 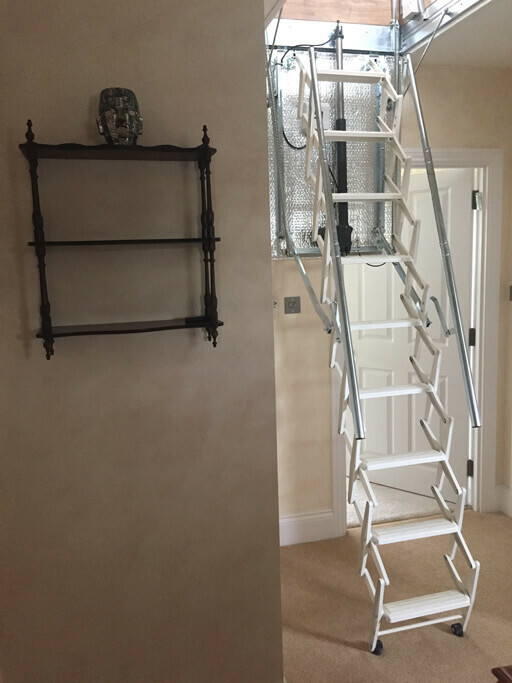 Their client required a loft ladder that was suitable for more frequent use. As such, an electric loft ladder was preferred for the ease-of-use and convenience that it offers. In addition, with it being for residential use, appearance was very important. 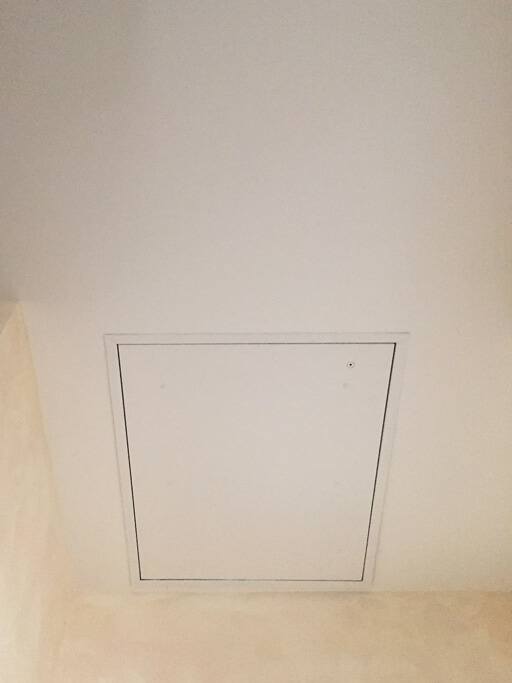 Finally, to maximise the space in the loft, a small hatch was needed. 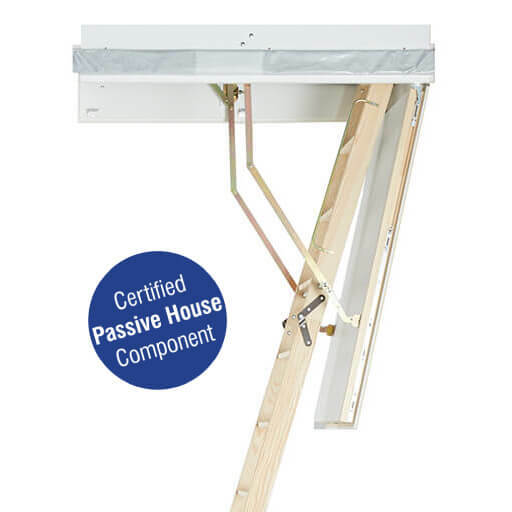 Following an online search, PMB Construction found Premier Loft Ladders and the Escalmatic. 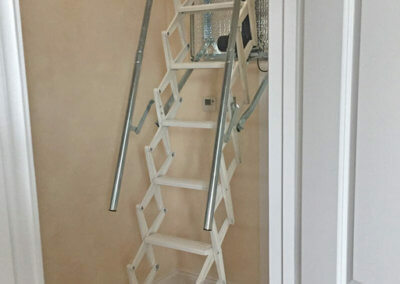 The motorised loft ladder is perfect for residential projects. It features infrared remote control operation for ease of use and convenience. Also, the Escalmatic has two telescopic handrails and non-slip treads for both comfort and safety. Furthermore, the steps are finished in an attractive white powder coat paint, which was a specific request from PMB Construction’s client. Each Escalmatic motorised loft ladder is made-to-order. It is therefore available in a wide range of sizes. 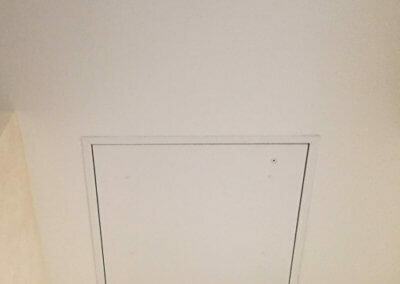 Also, the space saving concertina stairs allow the Escalmatic to be used in very small ceiling openings. For this project, a wide opening of 80cm was required, but to save space a relatively small opening length of 1m was chosen. As can be seen from the photos, this still offers comfortable access to the loft and allows for bulky objects to be passed through. 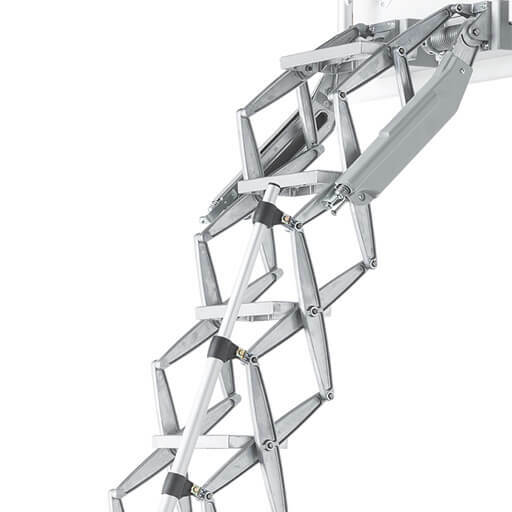 Above: Escalmatic electric loft ladder. PMB Construction got in touch with Premier Loft Ladders to confirm the order and request an invoice. The Escalmatic was then manufactured and delivered in just over two weeks. In fact, the lead-time was an important aspect of PMB Construction’s decision, as well as the quality of the Escalmatic and its contemporary design. 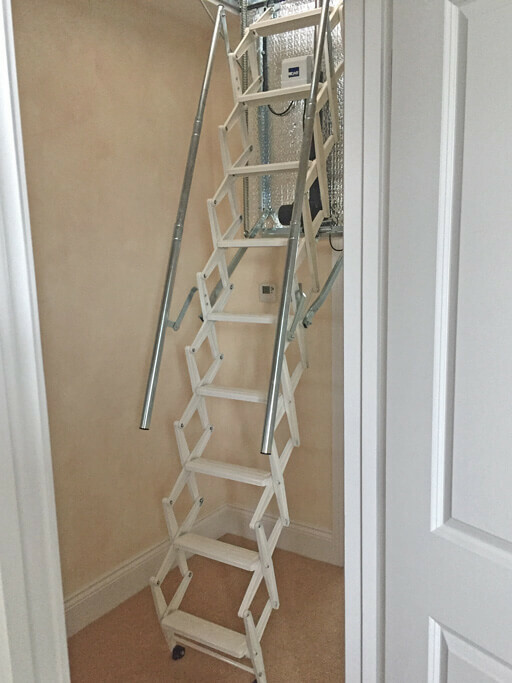 The end result was an “extremely happy” client who got a loft ladder that was exactly what they wanted. 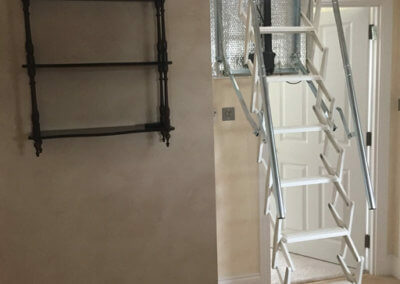 Electric motorised loft ladders make accessing valuable loft space very easy. In addition, they remove the need for any manual handling of the stairway, therefore also improve safety. 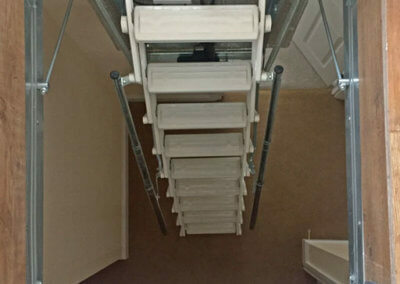 There are many motorised loft ladders to choose from. As demonstrated in this case study, it is essential to be clear about what is most important to you from the outset. For example; Is space limited? Does it need to be insulated? Who will be using it? How often will it be used? etc. 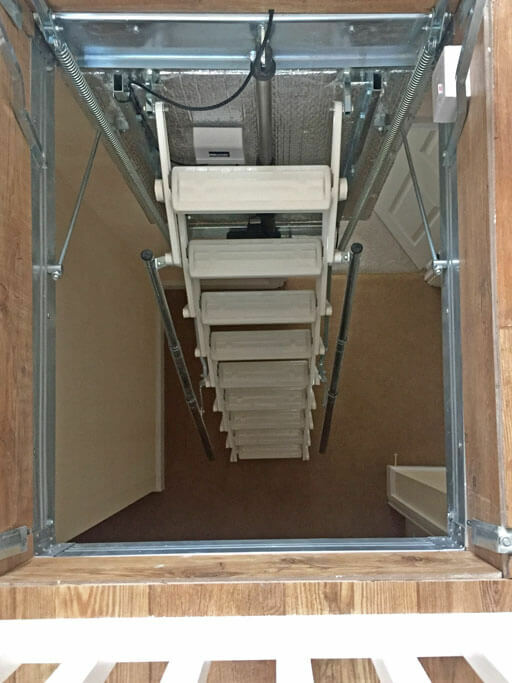 This will save you time in searching for the right electric loft ladder and help avoid disappointment.